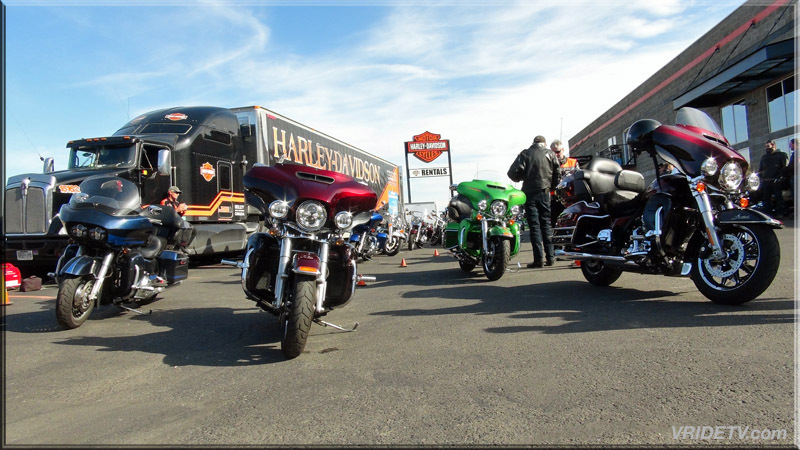 I rode to Kamloops Harley Davidson to test ride a couple of bikes during their "Test Our Metal" Demo Day. 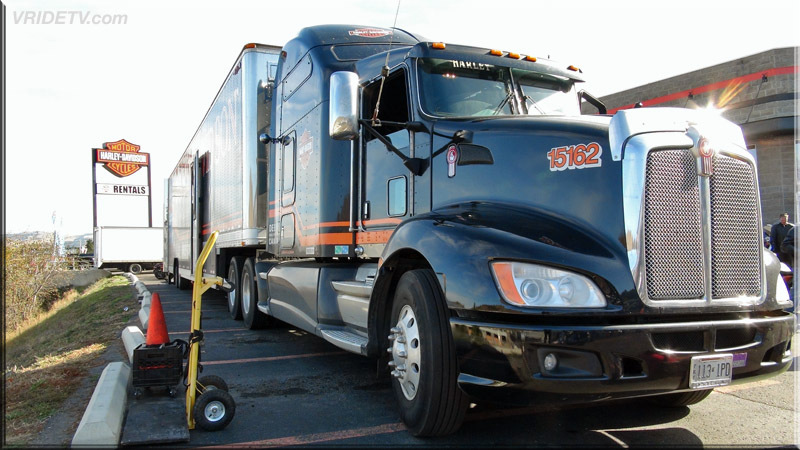 When I pulled into KHD there was a big crowd of people, 98.3 Radio was there, and so was the coolest semi to ever grace the planet.... 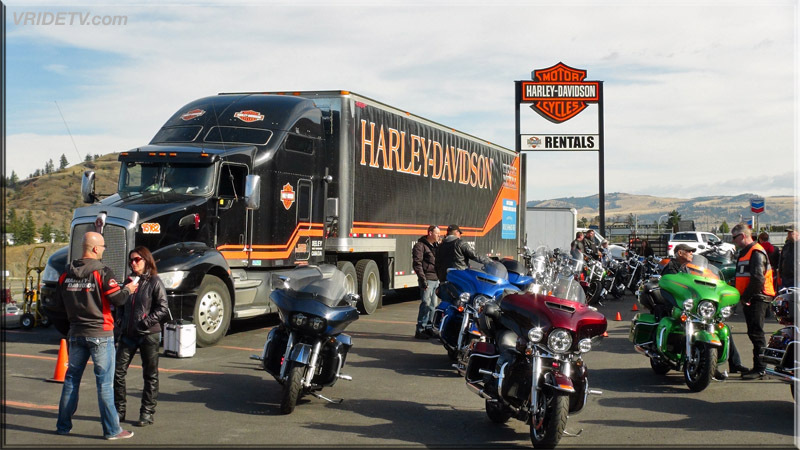 The Harley-Davidson Semi with a trailer full of 2015 Harley-Davidson motorcycles. Hoped of my bike, went in to the dealership, filled out the registration form on a very slick computer kiosk and with in 5 minutes my name was called! 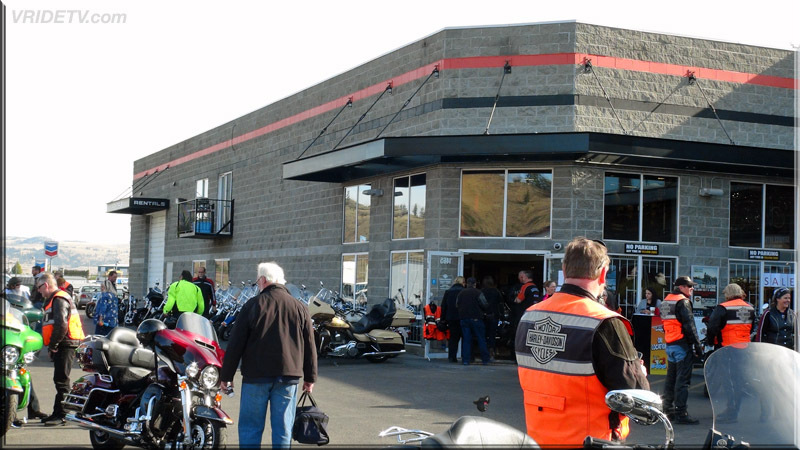 OMG did I have fun, the first bike I rode was a 2015 V-Rod Muscle, It was about a 15 or 20 minute ride that was escorted by members of the Kamloops HOG chapter. When we got back to KHD, I noticed the riders with ear to ear smiles, they had as much fun as I did that's for sure! 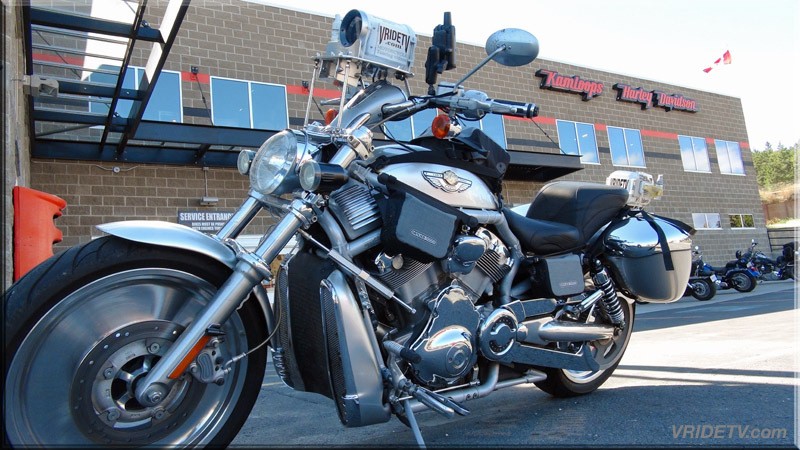 Within 20 minutes I was already called to ride the next bike a 2015 Night Rod Special, I reached somewhat of a dilemma while riding this time when I saw the road sign that said exit for Jasper.... The little voice inside my head said, TURN, go to Jasper, they'll understand. Then the voice of reason spoke! So I stayed with the group and throughly enjoyed the ride.